Showcase of select projects of Marc B.D. Greenberg, Product Designer and UX Director – I love this job! 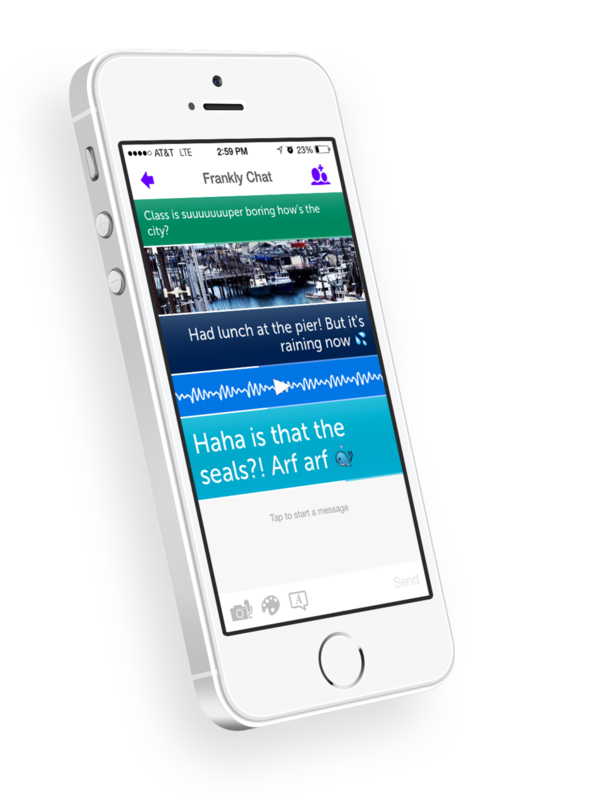 A new kind of messenger with full screen text, images, visual voice, and video. Control the size and color of your messages, and unsend them before they're read for more control than any other messenger. This isn't texting, this is communicating. Helped build the team and the product of a social gifting service across platforms. Tested and iterated until the business model and design just hummed. We make viral gifting look good. Created a multigame platform across tablet and mobile. Built a usability lab from the ground up to iterate and tune it, and getting to #1 on the App Store. LIKE WHAT YOU SEE? WANT TO WORK ON SOMETHING GREAT TOGETHER?